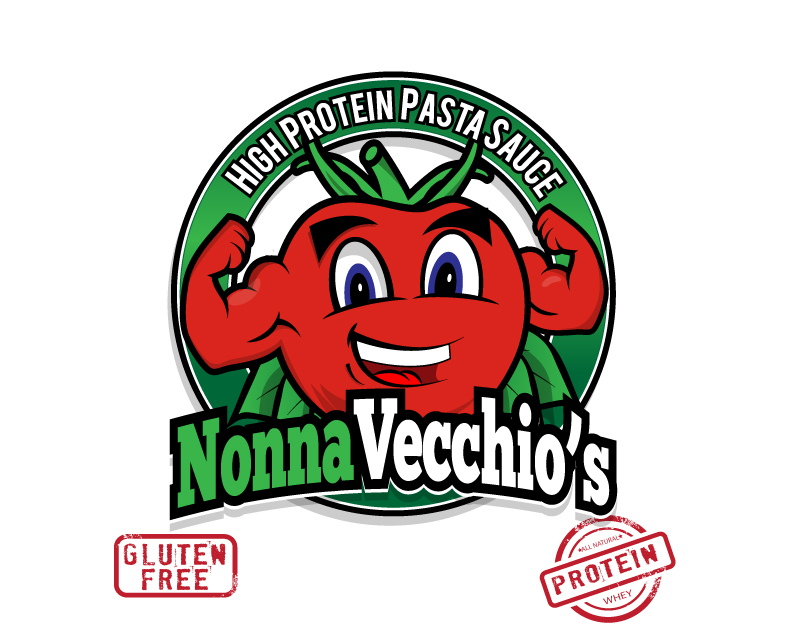 This is a start up company that is producing high protein, gluten free pasta sauce. Target market will be the fitness industry and consumers who are already purchasing added protein or gluten free products. The sauce will feature 8x the amount of protein and 4x the amount of antioxidants per serving than regular sauces. Imported San Marzano tomatoes are being used in conjunction with an authentic homemade recipe that has been passed down for generations. A tagline is still being decided on but we are going in the direction of something in the vein of "Traditional old-school flavor meets modern day nutritional needs" This logo will be the centerpiece of our brand. It is what will be on the jars and will be the main graphic on our website, social media accounts and any promotional items. something overly muscular or steroid looking. Something boring that looks like every other label.